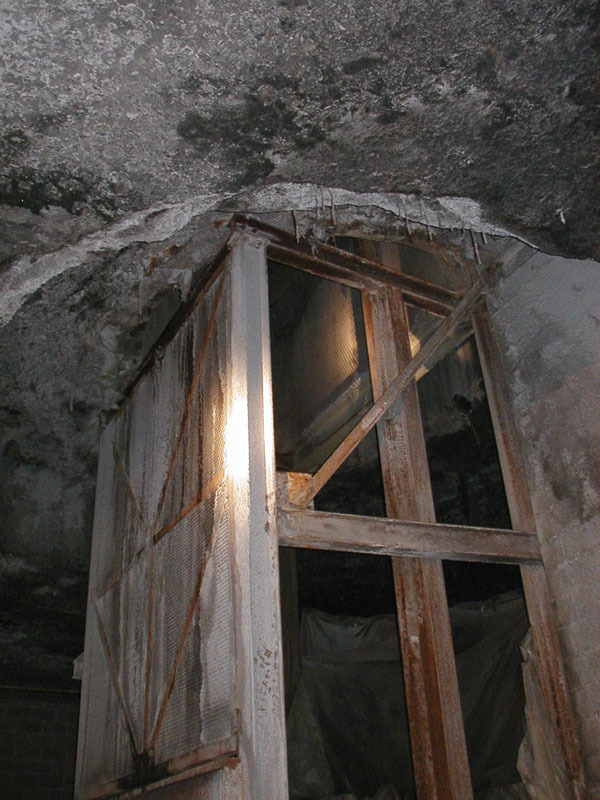 The Hutchinson Kansas Underground Salt Museum is projected to open in May 2007. It will be the only museum located 650 feet below the surface that co-exists in a working salt mine in the United States. The museum will tell the story of salt including topics of health, geology, mining techniques, history, culture, and use (Kansas Electric Cooperatives, 2005, p. 8). While the museum will have a 100,000 square foot exhibit area, the working mine's rooms positioned end to end would run for more than 67 miles (p. 8). Salt has been mined in Hutchinson for 117 years and the salt museum should be a significant resource for the public. For more information visit www.undergroundmuseum.org/html/museum_vision.php. 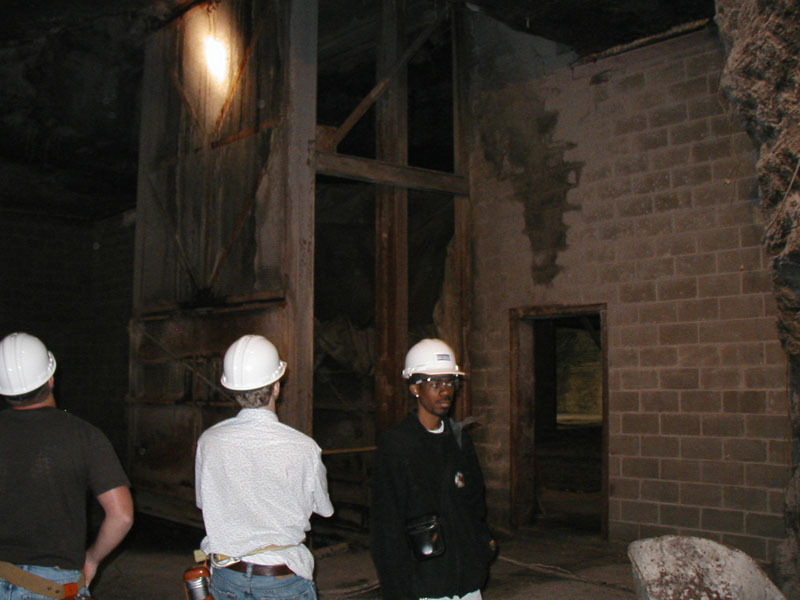 These images show the new elevator shaft that will serve the museum. Emporia State University students are observing the construction. 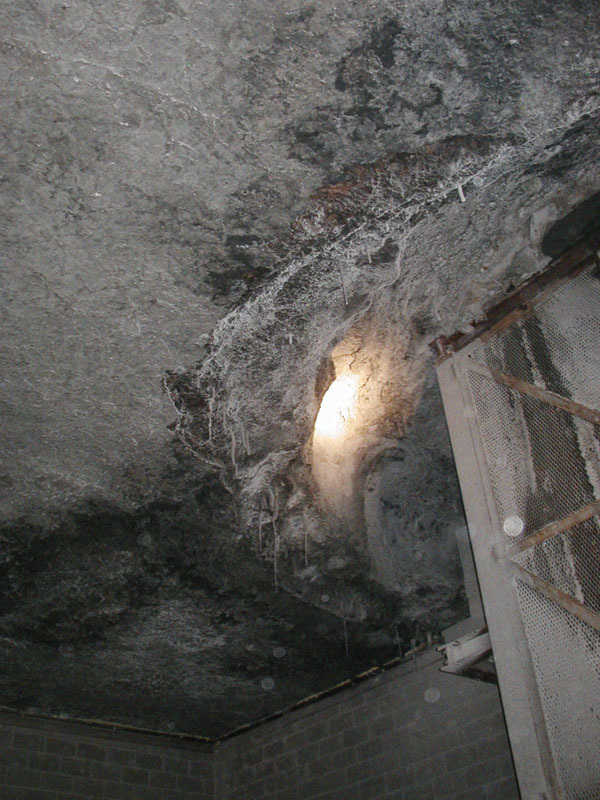 The warm moist air from the surface has allowed halite stalactites to form on the halite ceiling. A much older facility exists in Poland, www.muzeum.wieliczka.pl/pl/english.html, The Wieliczka Salt Mine and Museum in southern Poland, a UNESCO World Heritage site. Salt miners have carved sculptures and rooms in this Miocene salt. or made from salt, including the chandeliers. Photo date 9/97; © by J.S. Aber. http://www.worldheritagesite.org/sites/wieliczka.html, Wieliczka Salt Mine World Heritage Site. http://www.krakow-info.com/wielicz.htm, Wieliczka Salt Mine Near Krakow. 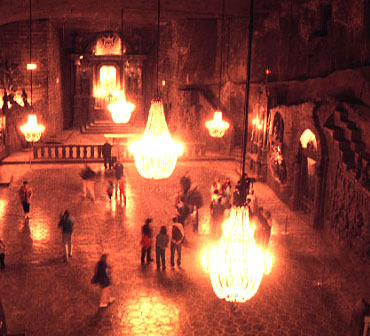 http://www.showcaves.com/english/pl/mines/Wieliczka.html, Wieliczka Salt Mine Cracow Salt-Works Museum. http://www.oar.noaa.gov/spotlite/archive/spot_arl.html, Air Resources Laboratory and the Wieliczka Salt Mine. http://www.sciencenews.org/pages/sn_arch/4_27_96/bob1.htm, A Salty Heritage: Licking the problem of Poland's melting treasure by Janet Raloff, from Science News Online, April 27, 1996.
http://www.thesalmons.org/lynn/saltmine.html, Air Pollutant Intrusion into the Wieliczka Salt Mine by Lynn Salmon. http://www.jti.co.jp/Culture/museum/english/salt/foreignsalt/polish.html, Japanese Salt Foreign Salt, Tobacco and Salt Museum. http://www.cyf-kr.edu.pl/wieliczka/muzeum.php, Museum of Cracow salt-works at Wieliczka. 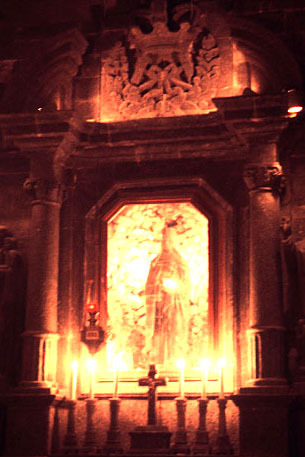 http://www.cyf-kr.edu.pl/wieliczka/kopsoli.php, The ancient salt-works Wieliczka. Salt-water springs in Ohio created a salt industry that may be as old as 8,000 years. Additional information on salt in Ohio and the Great Salt Lake will follow. Kansas Electric Cooperatives (November, 2005). Underground Kansas salt museum. Kansas Country Living 55(11), p. 8. Return to The Many Uses of Salt from the Earth. © Notice: The Many Uses of Salt from the Earth: Salt Museums and Environments webpage was created for educational purposes and while everyone is welcome to view these webpages, any other use or repackaging of these materials is prohibited without permission from the author, Dr. Susan W. Aber, abersusa@emporia.edu. Dr. Aber teaches at Emporia State University, www.emporia.edu/earthsci/abersusa.htm. This webpage was created November 28, 2005; last update May 30, 2007.